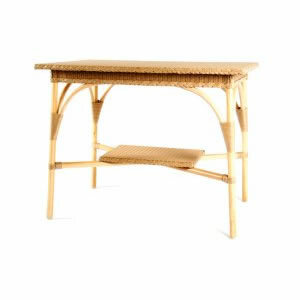 The Lusty Lloyd Loom Model 7127 is a larger table, suitable for up to four place settings or for use as a coffee table. Ideal for the kitchen, breakfast room or conservatory, the Model 7127 is an extremely attractive and versatile table. Designed by Jim Lusty circa 1930.